From now you can import your Pocket bookmarks directly into Bookmark Ninja. 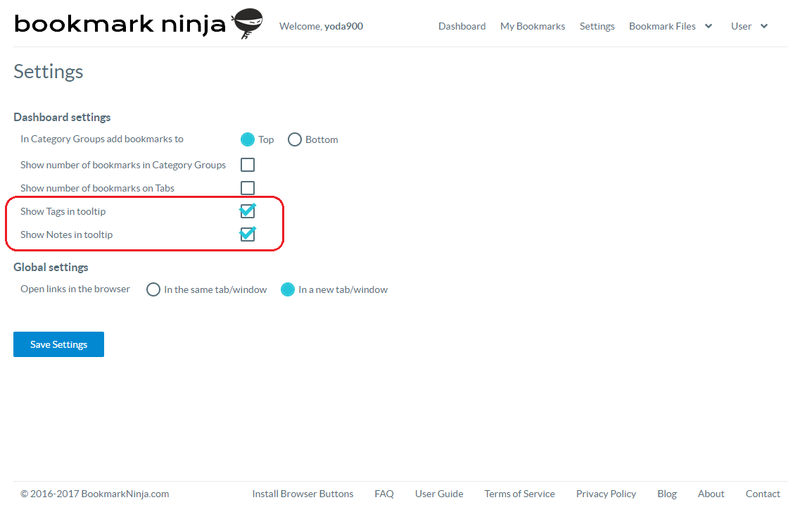 Pocket doesn't use the standard "Netscape bookmark file format" for export, so until now users were not able to transfer their bookmarks easily from Pocket to Ninja. Since more and more users contacted me with this request I have developed the support for the Pocket file format. 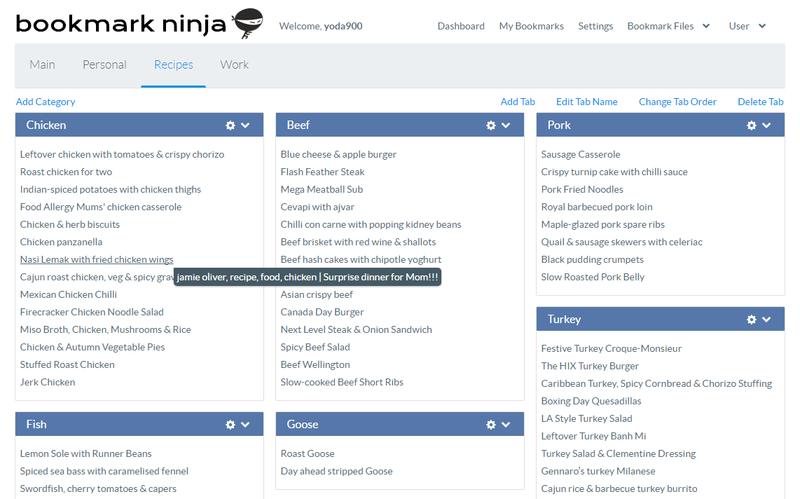 If you want to use Ninja you have to install bookmarklets on your browser's bookmark bar to have the "Add to Ninja" and "Ninja Dashboard" buttons accessible. 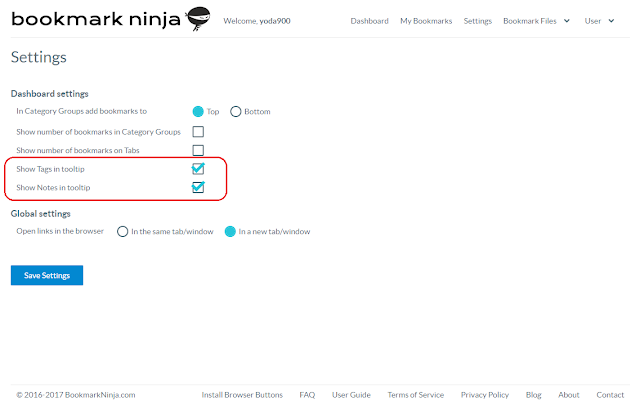 From now another option is also available: you can install browser extension buttons in Chrome, Firefox and Opera. Extensions for the other browsers will be available in the future. Using extensions instead of bookmarklets makes possible to hide the browser's bookmark bar which saves space on the screen. The reason why these 3 browsers were selected is that Chrome and Firefox have a 89% market share (you can check the latest browser statistics and trend here). Opera was selected because the Chrome extensions can be easily installed in Opera with one extra step. Of course the bookmarklet installation option will be still available in any browser. 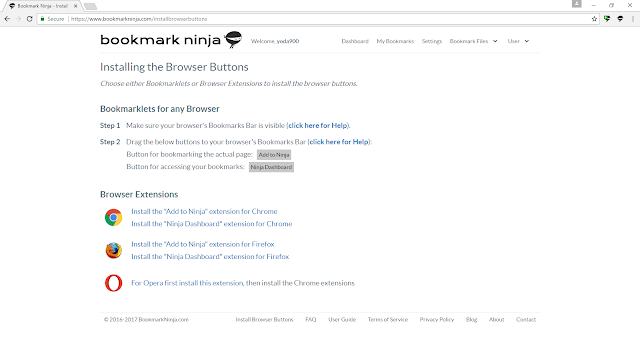 You can install the extensions from the Install Browser Buttons page.